Summer is around the corner and for those who don’t go to summer classes yet gets bored or if you have no plans yet and you might want to get some extra cash, you might be interested in summer jobs. 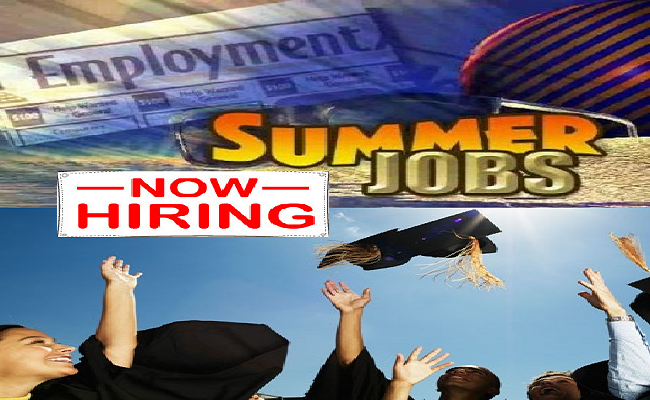 Summer jobs are usually from March till June, it is short term and perfect for college students or fresh graduates who wants to have cash to kickstart their life in the real world. Of course, though this is just for a few months, minors or those under the age of 18 are still not permitted to work without proper permits from DSWD or DOLE. According to JobsDB.com marketing manager, Oliver Ramos,having online job is perfect if you want to add more in your income while just staying at home. It is very easy and all you need is a reliable internet connection and a computer or laptop. While it is easy to find an online job and earning could also be just a breeze, an internship program could be way better for fresh graduates who wants to have job experience. There are internship programs offered by companies nowadays that fresh graduates can take advantage off since it will look good in their resume once they look for a job. Online jobs are becoming a trend nowadays as it does not only need minimum requirements, you can also save up the cash supposedly used for transportation and meals. These part time jobs only need a reliable internet connection, and a laptop or PC. Others may require headsets or webcams like those who are in online tutoring. This is one of the best summer or part time job as you can handle your own time at your own chosen pace. English tutors, web and graphic designers are one of the most common online jobs available. On the other hand, if you want to pursue and get a headstart of your profession, go ahead to internship. You might want to check if your university ties up with a big company for internship. You can also try searching jobs online in websites like JobStreet.com.